During the last centuries numerous German peatlands have been drained in a large effort to harness them for agriculture. Unfortunately, this led to the loss of one of the most important attributes of the peatlands: the storage of large quantities of carbon. Drained and degraded peatlands account for 40 % of German GHG emissions from agriculture and land use, despite covering only 8 % of the agricultural area. In the long term, restoring degraded peatlands is expected to reduce their greenhouse gas contribution to the atmosphere and thus also their contribution to climate change. However, this topic is still understudied. Restoration also preserves biodiversity. Thus, for instance Mecklenburg-Western Pomerania has been running a peatland protection project since 2000 including the rewetting of several peatlands in the Peene and Trebel valley. 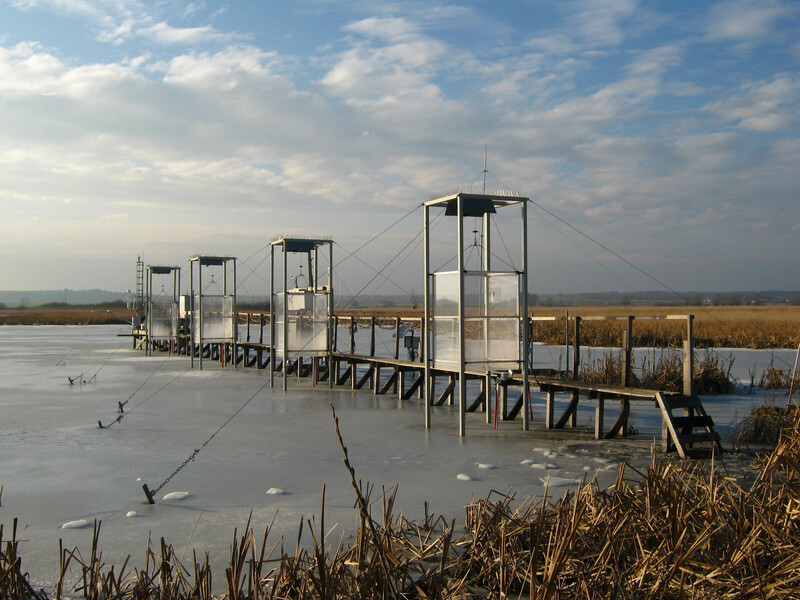 We chose Polder Zarnekow, located in the Peene valley, as our study site. Our research targets the question, whether rewetting the polder will lead to long-term carbon uptake and how much greenhouse gas emissions can be saved. 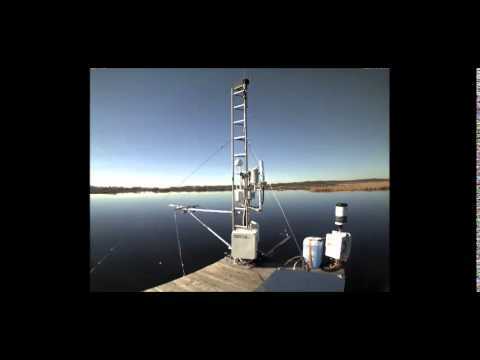 How do greenhouse gas uptake and emission change seasonally? What are the key factors for changing greenhouse gas dynamics and climate impact? Our study site is part of the Terrestrial Environmental Observatories Network (TERENO). The former polder is located close to the village Zarnekow within the young moraines of the Weichselian glacial (53°52´N, 12°53´E, < 0.50 m a.s.l., see map). In the course of drainage and long-term usage as intensive grassland, the former minerotrophic fen (peat depth > 10 m) is highly degraded. Cultivation became uneconomical after the German reunification. 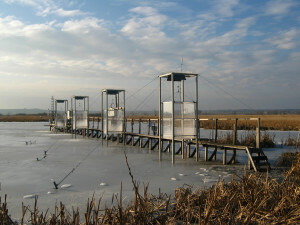 Due to the flooding in winter 2004/2005 a shallow lake evolved in parts of the former polder. Scientific investigations already started prior to the flooding, by the Leibniz Institute of Freshwater Ecology and Inland Fisheries (IGB) and Leibniz Centre for Agricultural Landscape Research (ZALF). They focused on analyses of the phosphorus budget and greenhouse gas emissions. In addition, since 2007 the University of Greifswald has analysed the vegetation development of the former polder. Ongoing greenhouse gas measurements by ZALF are conducted using the non-steady-state chamber method, where a chamber is placed airtight on the ground for some minutes. The changes of greenhouse gas concentration is measured continuously to investigate, if emission or uptake occurs. 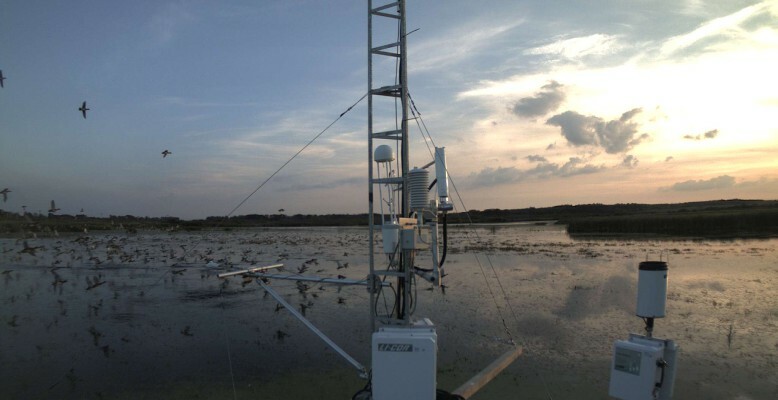 Additionally, in 2013 our group began continuous measurements by the eddy covariance technique, where turbulent airflow and greenhouse gas concentrations are measured simultaneously to calculate the gas fluxes. 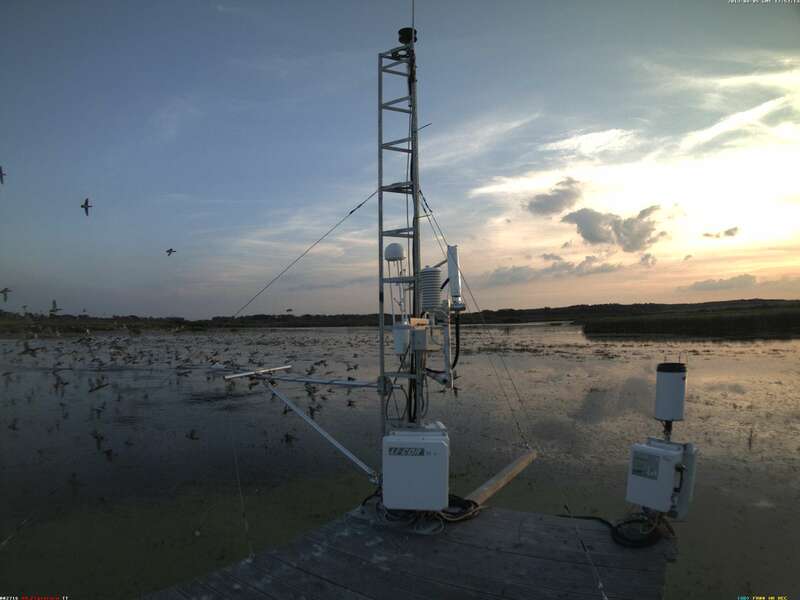 A set of meteorological data is also collected, e.g. radiation, air temperature and humidity, wind speed and direction, water temperature and precipitation. 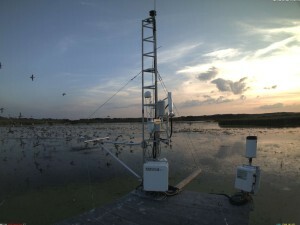 Both measurement techniques reveal still very high methane emissions after nine years of rewetting. Previously, high methane emissions were only known as a short-term effect of rewetting. However, the recent mud formation and the high amount of dead, readily decomposable grasses (reed canary grass) lead to higher rates of emission rather than uptake. Furthermore, the re-establishment of typical fen plant species is expected to be an important condition for decreasing methane emissions.